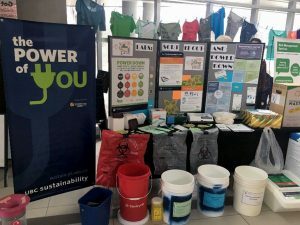 Over 30 researchers and lab personnel joined the UBC Okanagan’s Sustainability Office and Risk Management Services (RMS) at the fourth annual Labs: Sort It Out and Power Down event on Feb. 7. 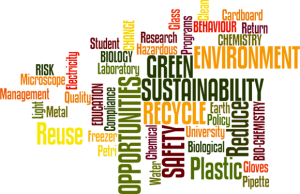 Participants took part in a lab waste sorting game, signed up for waste reduction programs and learned ways to conserve energy in undergraduate and research labs across campus. 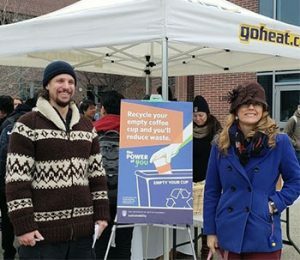 The campus community came out in force on a cold day in support of the third annual Recycling 101 event on January 31. UBC Okanagan has released its 2017 Integrated Rainwater Management Plan (IRMP) – a key implementation action arising from the Campus Plan and Whole Systems Infrastructure Plan. 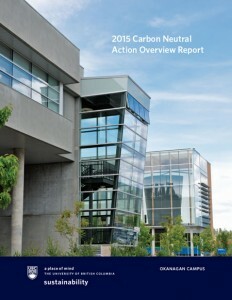 Like all public sector organizations, UBC’s Okanagan campus is required by the Province of BC, to measure, report and offset “in-scope” carbon emissions it generates - primarily through operating its buildings, but also through fleet vehicle fuel use and paper procurement. Here are some professional development opportunities for faculty and staff at UBC Okanagan over the next few weeks. UBC Okanagan continues to show its commitment to the environment year after year. Despite continued campus growth, UBC Okanagan achieved a 17 per cent reduction in absolute carbon emissions in 2015. Laboratory activities can have a huge impact on the environment. On March 29 learn how to reduce the impact of your research on the environment. Did you know? 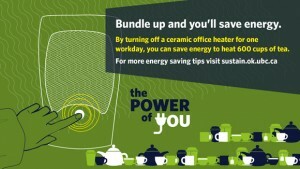 By turning off a ceramic office heater for one workday, you can save enough energy to heat 600 cups of tea. Take a few minutes to complete the UBC Okanagan campus energy behaviour survey.